I have been wanting to check out Sydney Open for a while now but for whatever reason I kept missing out on it. This year though, I managed to get a ticket and was able to go. I went into as many of the buildings as possible. I ended up seeing 8 buildings and had a great time doing it. I had a chance to test out my new Tamron 15-30, but my trusty 24-70 L lens was on hand. I used my Canon 6d and a sturdy tripod for long exposures. 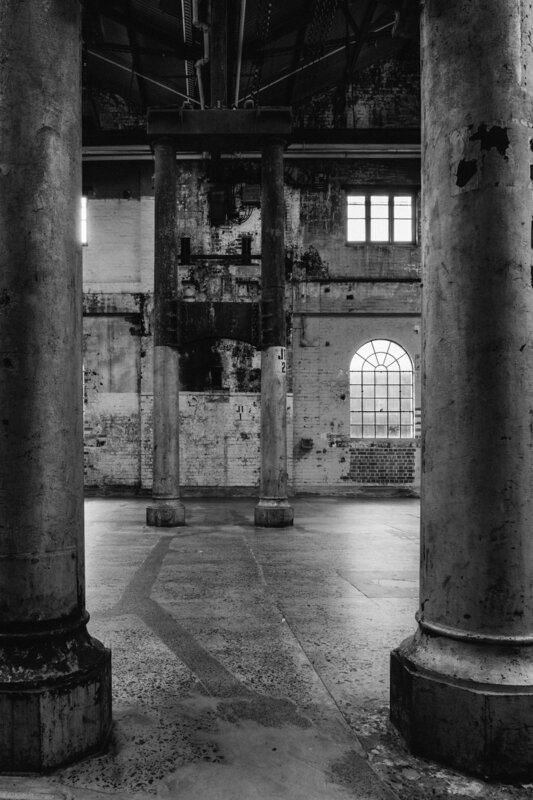 Carriageworks is a fantastic place to explore and take in some history. 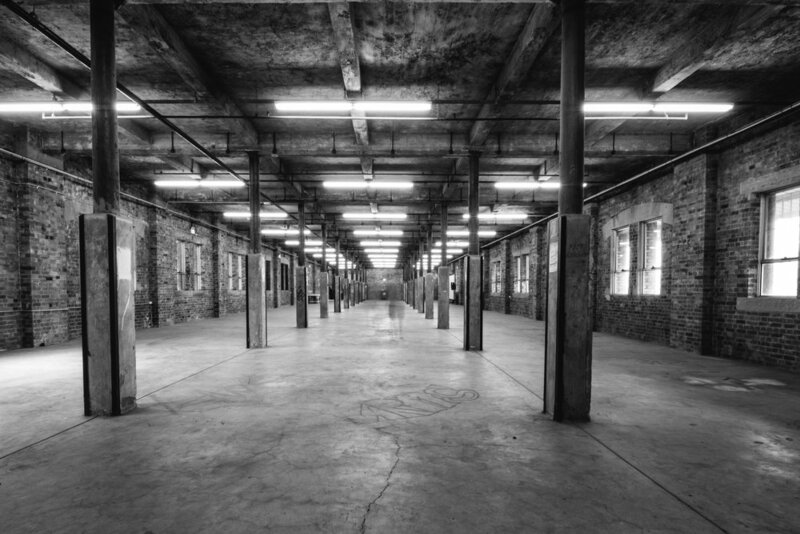 It housed the Eveleigh rail yards. You can see the layers of paint and cement, dirt and smoke on walls and floors. You can see the tops of the rails that once let the trains move through the yard. 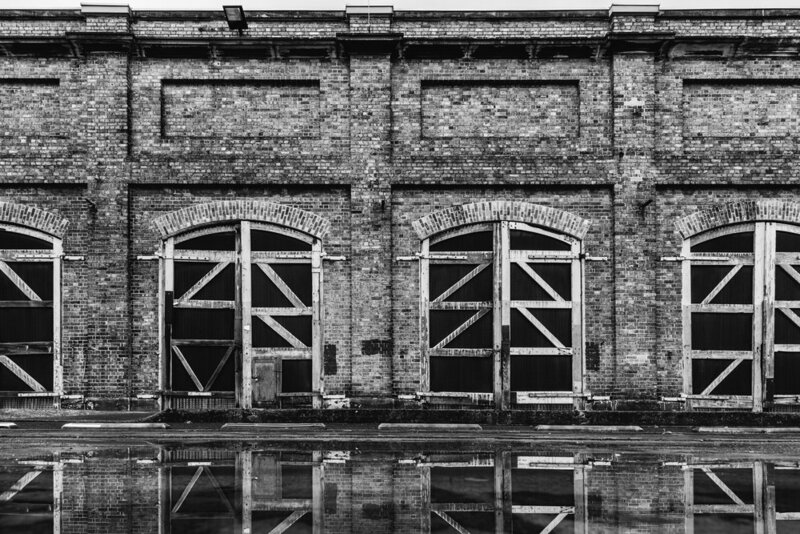 I spend most of the morning walking around and taking in as much of the old buildings as I could. The size of the site surprised me, it was like an industrial hedge maze. I then made my way through the drizzle to the University of Sydney's Abercrombie Building, designed by Woods Bagot. The main staircase that sits in the middle of the University building is incredibly beautiful. It's been designed with the inner stairs twisting through the centre and the angular balconies surrounding the stairs. It creates heaps of different geometric shapes and interesting lines depending from where you look at it. Looking up at central staircase in the Abercrombie Building. After getting my fill of that awesome staircase, I checked out Town Hall and Australia Square. I had been inside some of the higher levels at Australia Square before and the view from up there is one of the best in Sydney. Same could be said for another Seidler building, Grosvenor Place where Unispace opened up their beautifully designed 43rd floor office space. It was one of the more popular buildings I checked out on the day with line of about 20 or so people waiting to get up the elevators. Across the street from Grosvenor sits the Mirvac's new EY centre at 200 George Street. HASSELL designed the interiors of this building. The main foyer's ceiling is beautiful with geometric wood shapes making patterns that overlap and interlock and ripple across. The office space is really nicely done but was cluttered with people so I wasn't able to get the photos I wanted there. All in all it was a fun day for me, getting to check out some buildings in ways that I wish I could every other day of the year.